Massachusetts State Police and the Drug Enforcement Agency spoke Tuesday about the worsening opioid crisis. 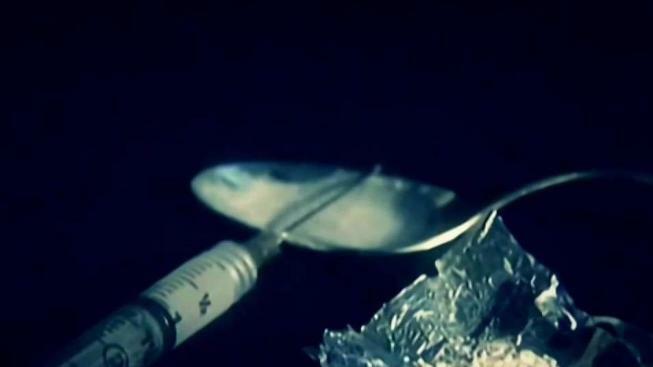 People who buy and use illegal drugs may be offered a choice between prosecution and treatment for addiction under a new program being unveiled Thursday in the state's second-largest city. The goal of the "Buyer Diversion Treatment Alternative," is to nudge more lower-level drug offenders away from the criminal justice system and toward recovery, state and Worcester officials said. Dealers would not be given the same choice between arrest and treatment, nor would any buyers with violent criminal backgrounds. "There is a big difference between someone dealing drugs and selling drugs in the community versus someone who is purchasing drugs to feed their own addiction," said Republican Lt. Gov. Karyn Polito, who planned to join police and prosecutors for the rollout of the program. The program offers an alternative path to recovery for people willing to change their lives, while allowing the criminal justice system to focus on the more serious crimes, she said. Worcester had 268 confirmed fatal opioid overdoses from 2012-2016, according to the Massachusetts Department of Public Health. Officials estimate that more than 2,000 people died statewide in 2016 alone. The pilot program is the first of its kind in the state but, if successful, could be tested elsewhere, officials said. It is similar to Law Enforcement Assisted Diversion, or LEAD, programs that were first developed in Seattle in 2011 and have since spread to other U.S. cities, including Baltimore, Albany, New York, and Bangor, Maine, according to the website of the LEAD National Support Bureau, which offers help to local jurisdictions in developing the approach. In 2015, police in Gloucester, Massachusetts, developed Angel, a novel drug addiction program that has since spread to dozens of cities nationwide. That program differs in that it involves people who voluntarily come to police seeking help for addiction and are referred for treatment. In Worcester, police will focus largely on people identified purchasing narcotics during law enforcement surveillance of illegal drug trafficking. If they meet criteria, those buyers could avoid arrest and prosecution by entering -- and eventually completing -- a treatment and recovery program. "This initiative will aid our ongoing efforts to help those suffering from the disease of addiction get into treatment, while at the same time allowing police to continue to work to arrest the dealers who are bringing the poison into our communities," Worcester District Attorney Joseph Early Jr. said in a statement. A $99,000 state grant will allow police to hire a case manager to serve as a liaison between law enforcement and treatment centers.